Interested in writing a column, opinion piece, industry prediction, an overall business report, or your billion dollar tips for us? 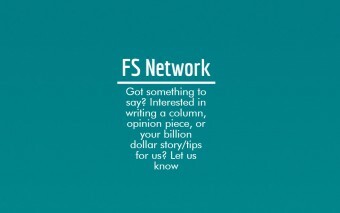 FS Network is your place to start. FS Network is our window to interact with and give access to industry experts, entrepreneurs, writers, makers, thought leaders to our audience and share their valuable insights and inspirations. Please go ahead and post your article/interview/analysis/report/story.